Del Mar is the West Coast version of the East Coast’s Saratoga and is known as “Where The Turf Meets The Surf” for good reason, as the 1/4-pole is positioned closer to the Pacific Ocean than it is to the grandstand. Although Del Mar is known for its beachy vibe and California Casual culture, the racing is high class and Eclipse has made a habit out of putting its partners in the most sought after winners’ circle the country over. 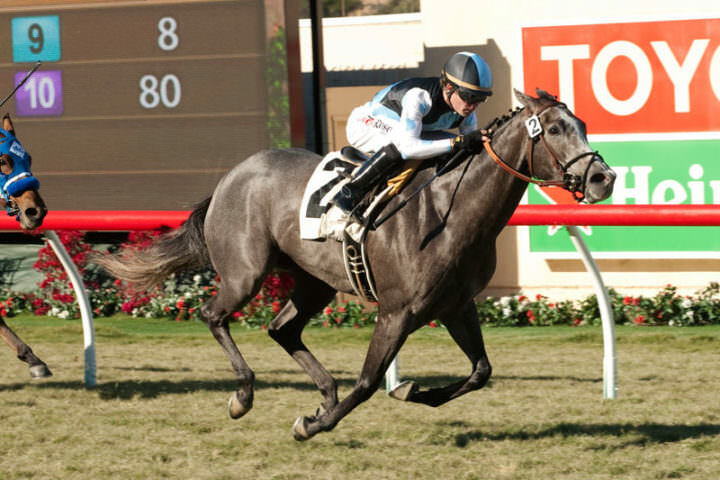 One of the most beloved Eclipse runner over several seasons has been the bona fide beach bunny, Desert Steel, who has become a Del Mar grass dash specialist, posting 4 wins at the seaside venue over the past 3 seasons.